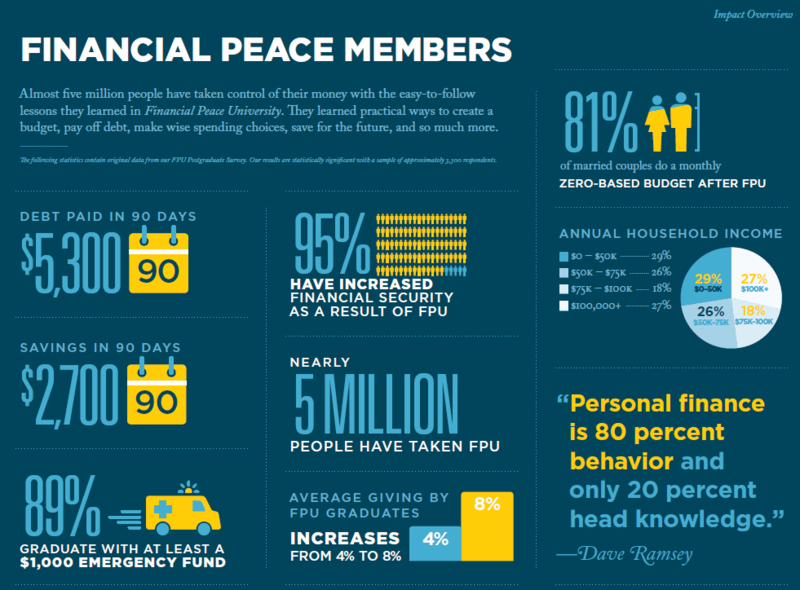 We will be kicking off our next session of Financial Peace University on March 3! Josh Hamlin will be leading the sessions alongside Dave Ramsey. Classes will be on Sunday mornings from 9:30-10:30 for nine weeks in ADM 139. Cost is $109 per couple. Select the button below to sign up and pay! Start Taking Control of Your Life HERE!